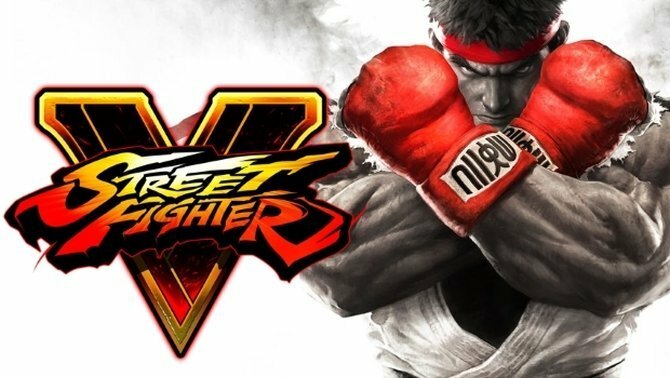 Recently it was announced that Street Fighter V will allow gamers to unlock extra content through playing the game rather than by paying for it. For those unfamiliar with the series, Street Fighter has a history of releasing multiple installments of the same game with extra characters and stages in each new release. Street Fighter IV was released as Street Fighter IV, Super Street Fighter IV, Super Street Fighter IV: Arcade Edition and Ultra Street Fighter IV. Street Fighter IV was priced as a normal game and each subsequent edition cost about as much as an expansion pack. On the face of it this is great news. Rather than pay periodically as Capcom refine the same game players will be able to be rewarded for playing the game with more content to invest their time in. However I have a couple of questions which I believe that we should keep in mind before celebrating. Street Fighter V will be starting with a roster of 16 characters, Street Fighter IV had about this many in the arcades but added eight characters for the console release. This may not seem like a lot but it bears asking, will players be getting as much out of Street Fighter V as they did IV?. I mentioned earlier in this article that updates to existing Street Fighter games have been priced in a similar way to expansion packs and they have come with similar levels of content. Could this shift in philosophy also lead to a change from fewer, larger releases to smaller, more frequent ones? This leads me to my next question. How will new content be unlocked? Many a poorly designed “free to play” game will incentivise its player base to participate in contradistinctions by making it take a considerable amount of time to achieve anything for free and/or by making the method by which free things are unlocked incredibly tedious. At this moment Street Fighter fans should be wondering if they are truly going to be rewarded for their time and skills or bored into paying anyway for something they were promised would be free. I am very skeptical about Street Fighter V at the moment. My main concern is that Capcom are only pretending that we are going to see a glorious return to the days that you only needed spend money once on a game to get everything that came with it. My concern is that Capcom are instead trying to use this announcement to sneak a free to play economy into their next big budget game with thee aid of a smokescreen that will have their fans cheering their actions on. Please don’t feel the need to take my word for it, I could be wrong and I hope that I am wrong. Just keep my questions in mind over the coming months.